Throughout your holiday you will have our host and very own archaeologist to guide you! Experience the heady warm scents of wild rosemary and sun-drenched olive and lemon trees as we walk around a wonderful Roman villa site. Pamper yourself with a dip in the thermal baths and savour Italian gastronomic delights. 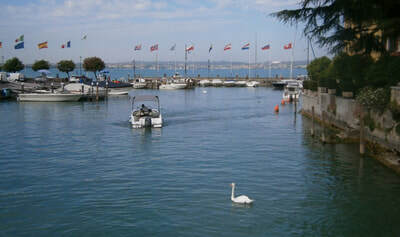 We are based for the first 3 nights at a wonderful 4* hotel in old Sirmione. This elegant hotel is set on the beach, surrounded by olive groves. With one of the most beautiful views across the lake, the Ideal Hotel is great for a relaxing break. Sunbathe on the beach or take a walk through the Maria Callas olive park. Sirmione is a 4km peninsular that extends out into Lake Garda. It’s a magical location and has been famous since ancient times for its health-giving spa water. If you would like to indulge yourself you will find the luxury thermal spa, Terme Catullo just 200 yards away. 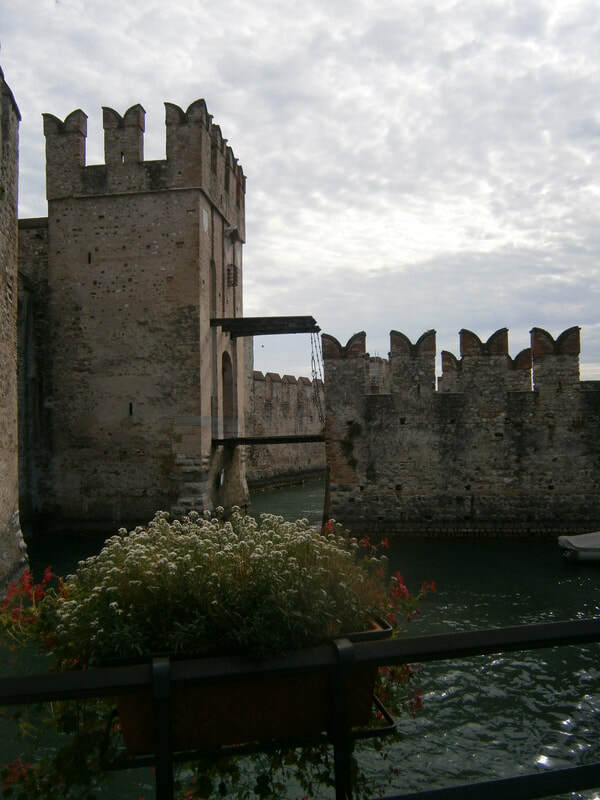 From our lovely base we will explore all the archaeological and art treasures Sirmione has to offer and get out onto Lake Garda for a day visiting other pretty lakeside towns. 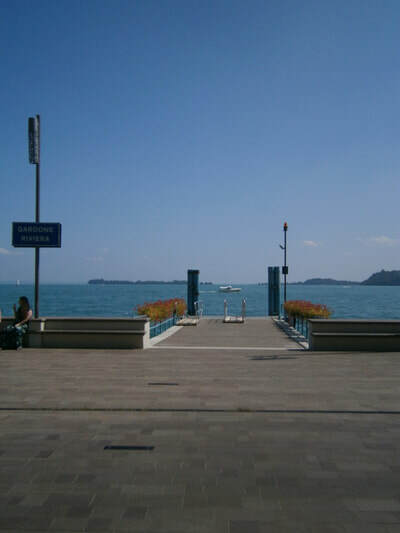 Day 1: We meet at the central station in Verona and catch the bus to Sirmione. We will settle into our accommodation and meet for an orientation talk. Relax on the beach in the afternoon or join Yvonne to wander around the historic old town, stopping to look at the wonderful frescoes in Santa Maria Maggiore – a 15th Century church with wonderful frescoes and a wooden Madonna over 500 years old! 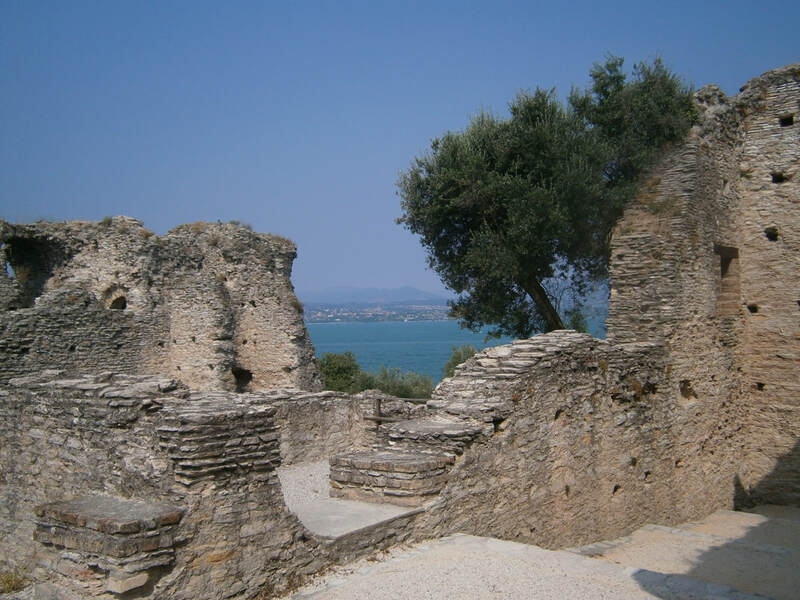 Day 2: Grotte di Catullo archaeological site, believed to be the remains of the Roman villa of the poet Catullus. At the very tip of the peninsular the location of this Roman villa could not be more panoramic! We will explore the two hectare site and the museum then walk down to the aqua marine waters of the bizarrely named Jamaica beach for a drink at the bar and a swim. Day 3: Boat Trip around lower Lake Garda. 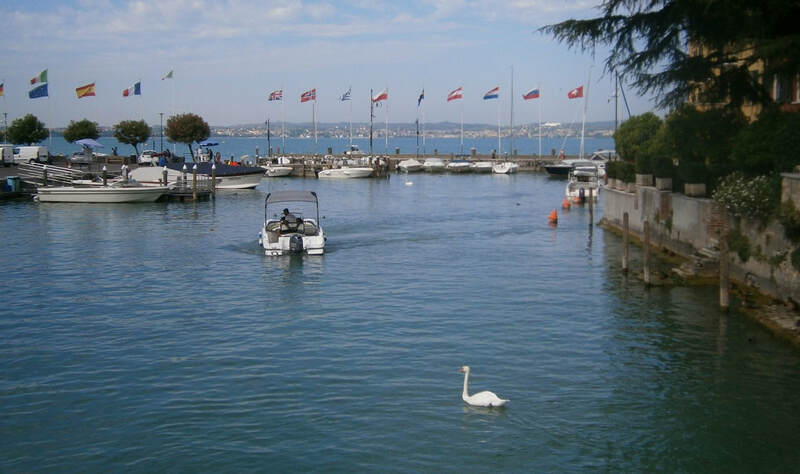 We will take the boat for a full day trip around the lower lake, stopping off at the pretty lakeside town of Gardone. Here we will walk up to the imposing amphitheatre of Vittoriale and have lunch at one of the charming cafes. Don’t worry of you are not a big walker as there is a small train that will take you up to the centre of Vittoriale. Day 4: Verona. After a leisurely breakfast we will catch the bus into the old city of Verona. Our Hotel is situated right inside the old city and just metres away from the Verona arena. Take the afternoon to explore the historic centre of Verona. We will meet for a pre opera dinner and for those who love opera there is a performance of la Traviata at the atmospheric Verona arena this evening (dinner & opera ticket at own cost). Day 5: After a leisurely breakfast we will catch the shuttle back to Verona airport, where we say our farewells.